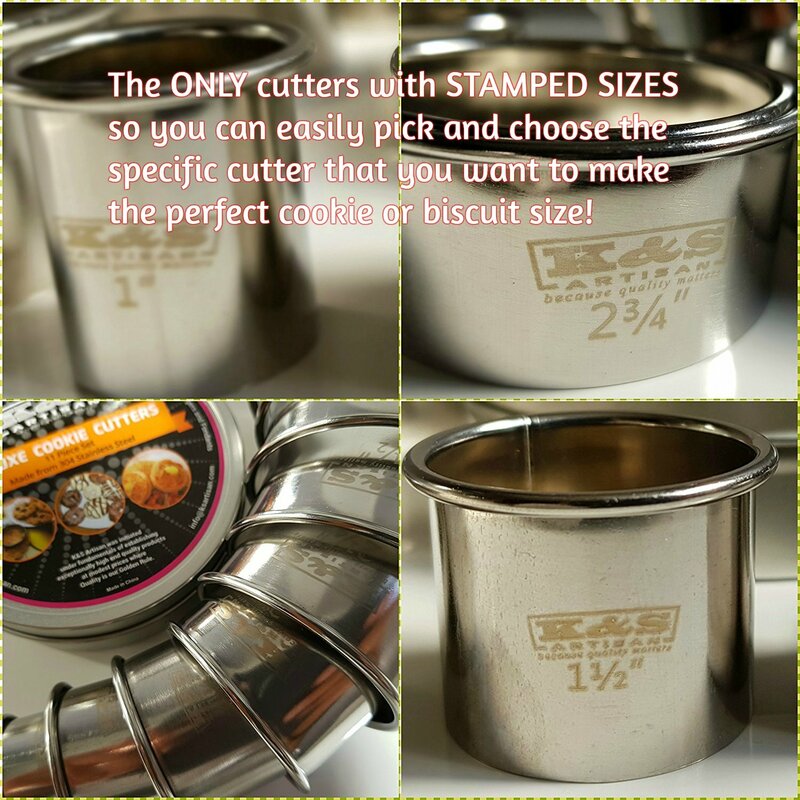 ✅ Genuine & Professionally Designed HEAVY DUTY Round Cookie Cutters with permanent graduated ✅STAMPED SIZES / NUMBERED showing the size of each round cookie cutter of the 11 piece pastry cutter set and all ranging in diameters from 1 inch to 3.5 inches to help you save time and avoid frustration NO More Guessing the SIZE! and with THIN BLADES cuts through hard and sticky dough with ease! all the circle shaped rings nested neatly in a compact & BEAUTIFUL storage tin. ✅EXCITING products at GREAT PRICES! 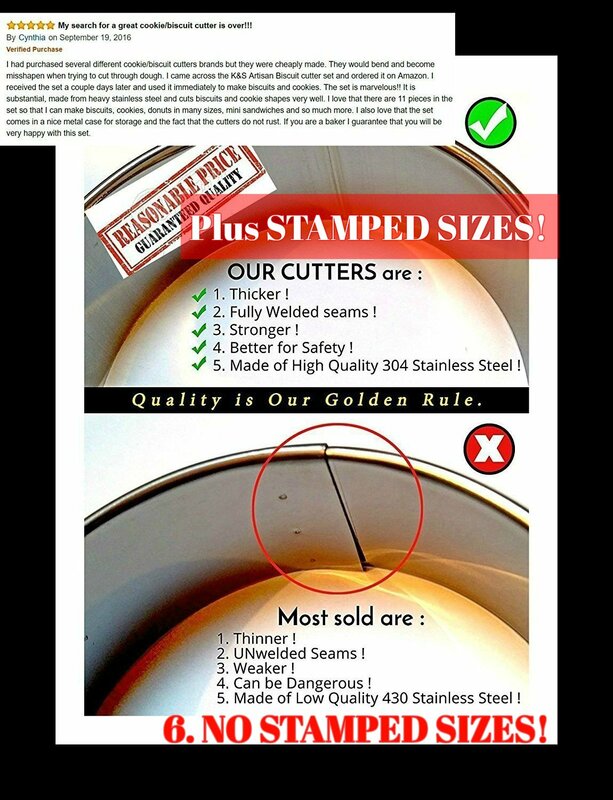 + AMAZING QUALITY! 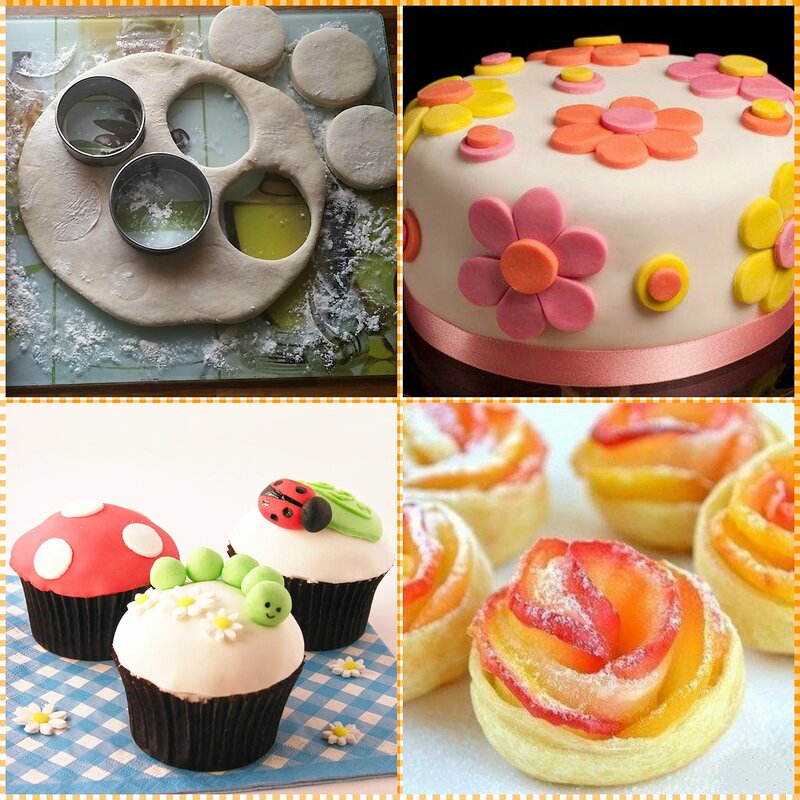 At K&S Artisan we only sell Quality & Long Lasting baking utensils plus Friendly CUSTOMER SERVICE AROUND THE CLOCK! 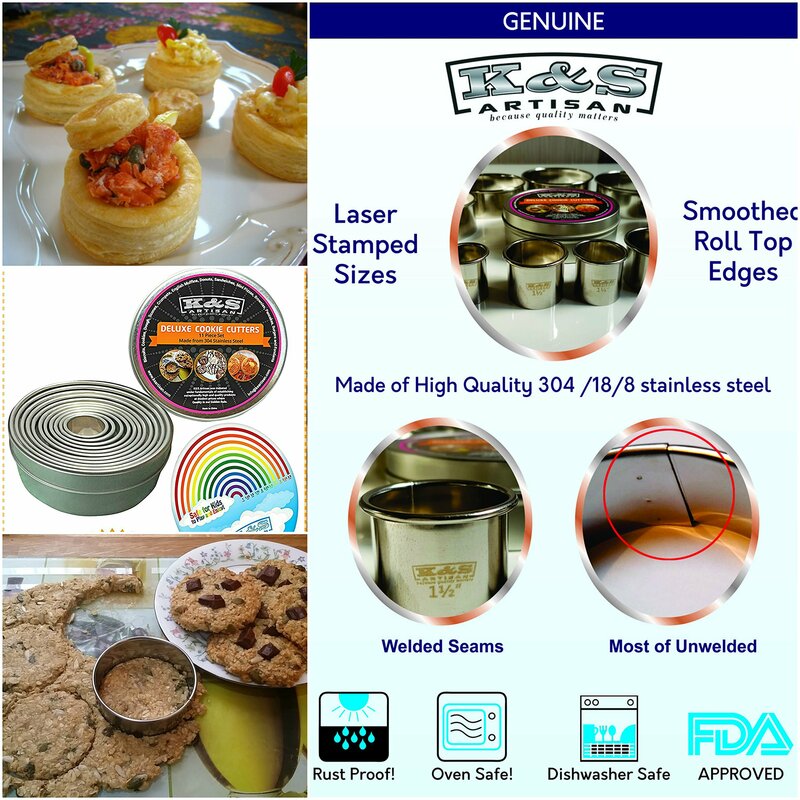 Shopping at K&S Artisan – a small family-owned business is always risk free .We are a company that committed to providing you with the best Quality kitchenware baking Tools you could ever have, as well as top Customer Service. 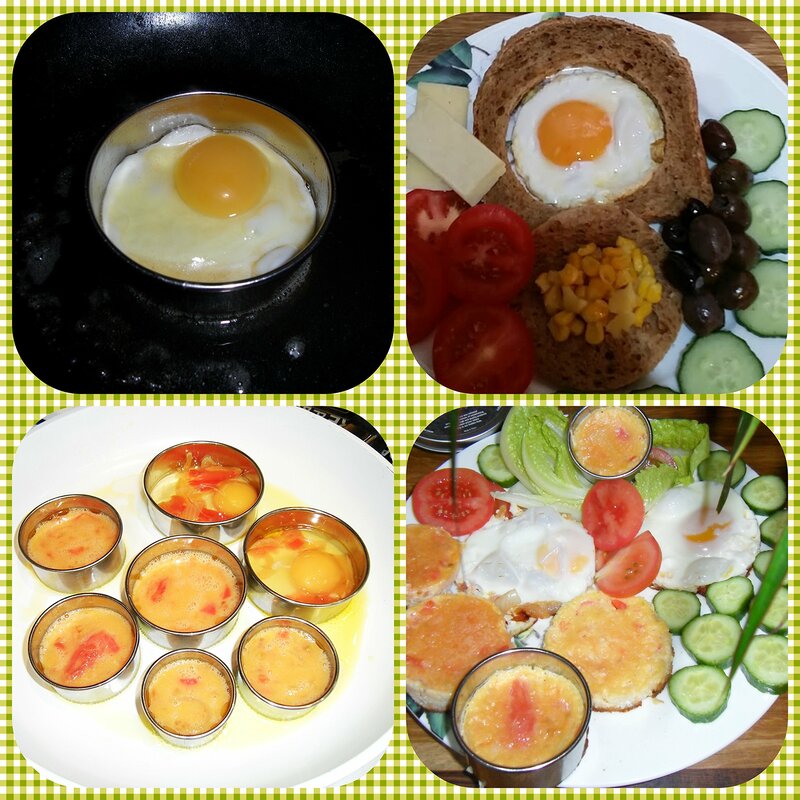 Buy these baking forming ring molds that can be used as a timbale ring for plating too. 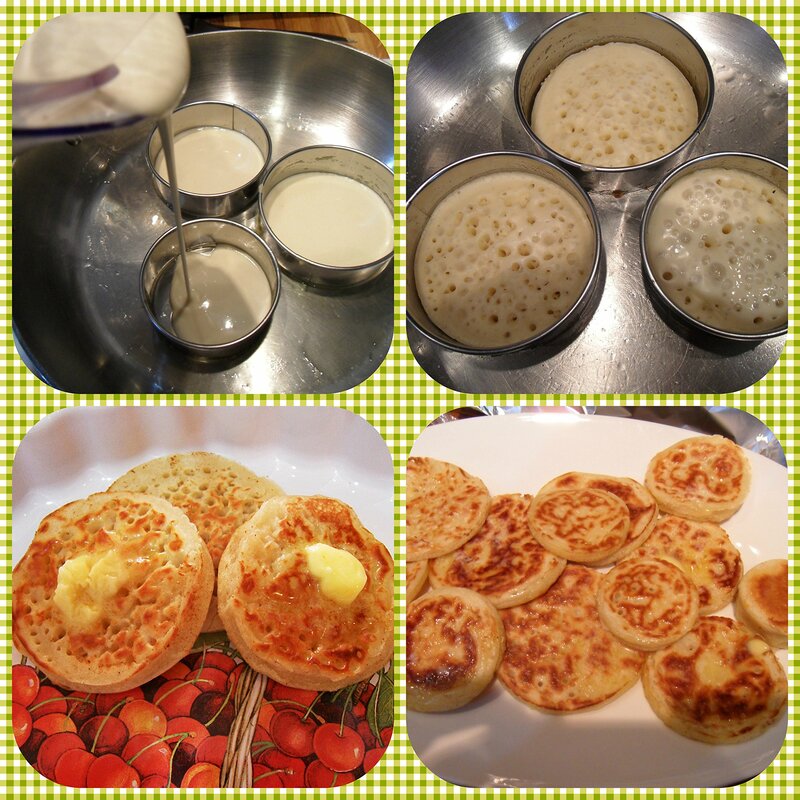 ✅ CREATE BAKERY STYLE biscuits at HOME with this Plain Edge round pastry cutters ring molds and Enjoy your flaky pastries, donuts, sandwich, Biscuits,cookies,scones,mini cakes, English muffins, shortbread,Canape,crumpets,pancakes, mini pizza ,fondant,frying eggs,and even shaping or cutting fruits and vegetables!,Impress your family and friends with your presentation skills using like molding rice and making desserts like mousse! 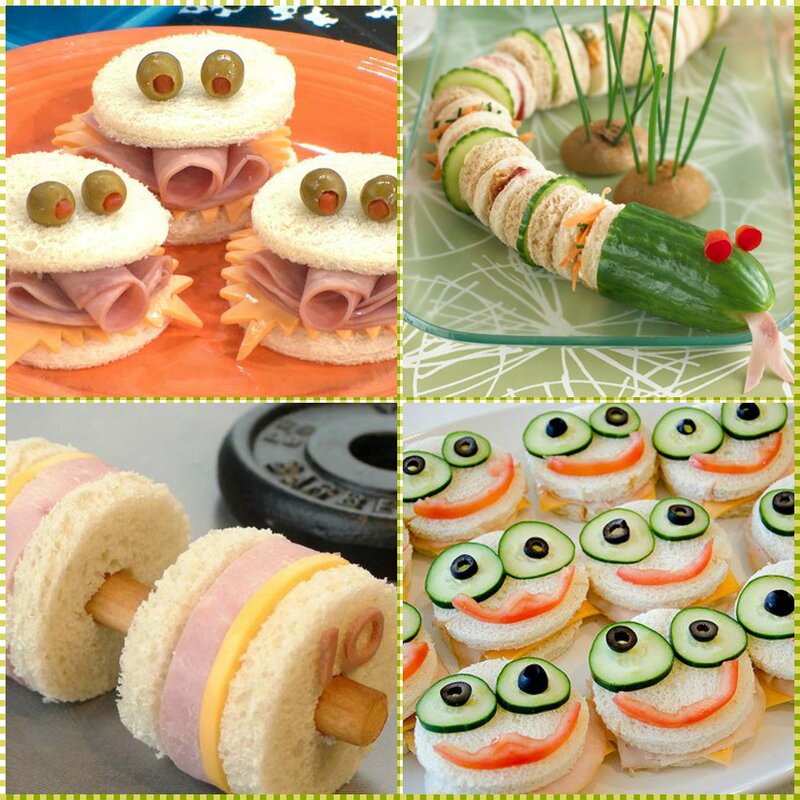 and You can even use these cutters for your KIDS PLAY DOUGH! 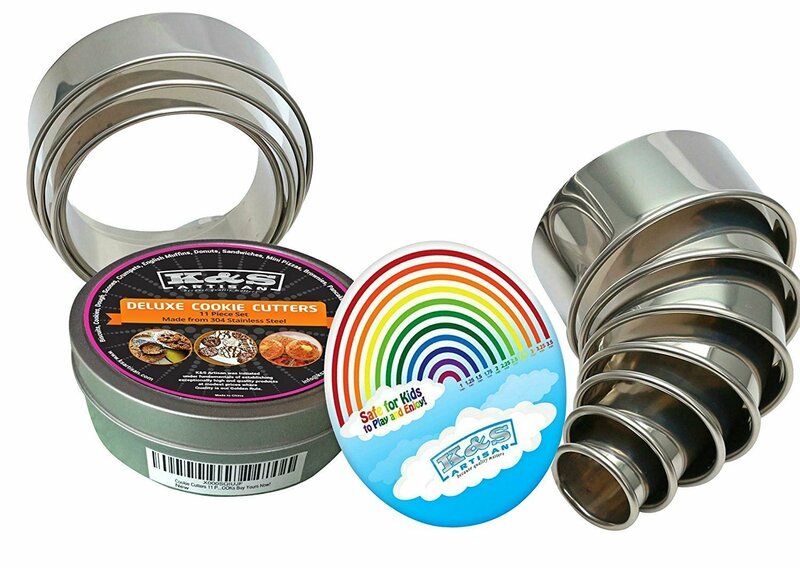 ✅ EACH CUTTER IS NUMBERED multiple circular rings shape cutters/ are Commercial Grade Made from Heavy Duty 304 (18/8) Stainless Steel unlike other starting brands use lower quality stainless steel●✔ NO RUST ●✔Dishwasher safe ●✔ BEAUTIFUL storage tin ●✔No more Clutter!●✔Fully stainless steel Rolled top edges to protect fingers making it ●✔comfortable to use ●✔ FULLY WELDED SEAMS.Our cutters have ●✔ No sharp dangerous seams at Perfect Height 1.25″ ✅FREE Biscuit & cake eBook recipes and much more!